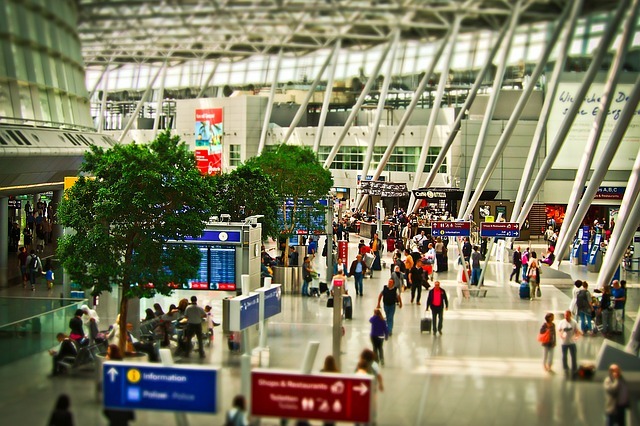 Airports are amongst the busiest and most densely populated places in the world. To make life easier, safer, and to optimize operations, airports around the world have been adopting iOmniscient technology. One of the biggest concerns we often hear is the inability of video surveillance to detect threats, events, and people in crowded conditions. This is where we come into the picture. iOmniscient has developed patented technology that has the ability to conduct automated face recognition and detection even in extremely crowded conditions. Our unique software has the capabilities to detect abandoned luggage, even when it would be impossible to do so with the naked eye. This is feature is coupled with “Jump to Event” capability, thus ruling out false alarms and increasing airport security. Additionally, our behaviour recognition, and slip & fall detection tools help airports become more secure for children and the elderly. For instance, our integrated, automated systems would stop the luggage conveyance belt from moving if a child jumps onto it, thus minimizing the chance of injury to the child. Our airport solutions provide more than just security. Using our crowd counting feature, airports can streamline operations at check-in counters, baggage areas, airport gates, and in other essential zones. Further, Intelligent video analysis can also be used to monitor customer behavior, allowing airports and airlines to better meet customers’ needs. If the video analysis shows that most customers move toward a certain security checkpoint or frequent a particular area of the airport for their pre-flight snacks, management can create marketing campaigns targeted at those areas or change processes to make the experience more pleasant for travelers.